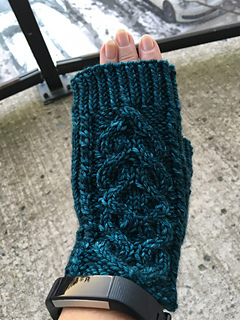 These mitts work up very quickly and are a lot of fun to make. They also complement the Mountain Trail Hat pattern. 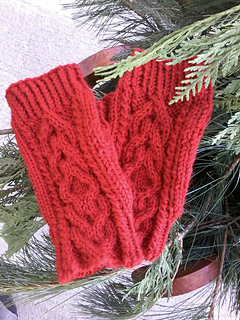 They are knit from the bottom up in worsted weight wool and have an afterthought thumb. The pattern has been tested and tech edited. The instructions are written and charted. 1 skein of Barrett Wool Co Home Worsted, 230 yds / 210 m per 100g or 110 yds / 101 m of worsted weight wool. 3.50 mm (US 5) circular or double-pointed needles. 4.00 mm (US 6) circular or double-pointed needles or size needed for correct gauge. Beginning of round marker, two more stitch markers, waste yarn and tapestry needle. 8” / 20 cm in circumference x 7” / 18 cm in length after blocking.